If you believe there's a difference between a house and a home, then let guests to your home know it with this decorative wall sticker! 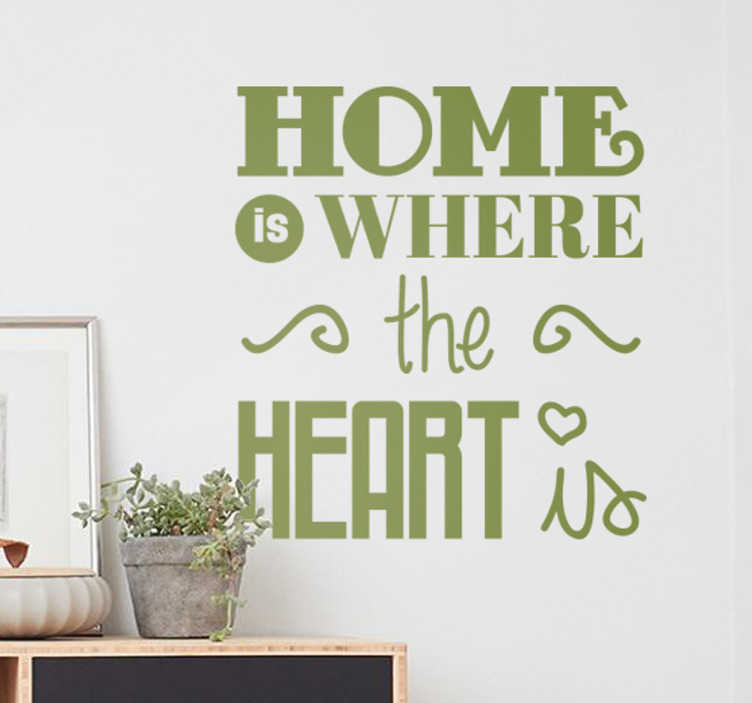 Featuring the text "Home is where the heart is" in a fun and original design, , this vinyl is as easy to apply as it is to remove and leaves absolutely no residue upon removal! A high-quality anti-bubble sticker which is available in a wide variety of different sizes!